When Judy Garland was cast as Dorothy in The Wizard of Oz, she was over the moon in ecstasy and MGM executives knew they had made the right choice from the moment they saw her roaming on the set. Judy Garland was advised that all she needed to do was just be herself, and her talent will take care of itself. And by golly she delivered a phenomenal performance. She initially wore an Arabian style ruby slippers, and she tried different dresses with long blonde curly hair and had heavy makeup. After a review, it was determined that it didn't look great and all of this was eventually replaced with a more feminine pair of ruby slippers, and a blue and white checkered gingham dress. Judy Garland also had a makeover with long red hair in pigtails, and a lot of the makeup was removed to make her look like a young girl. Many viewers believe that Judy Garland was perfectly suited to play Dorothy, and are impressed with her costume and overall facial appearance. Her performance as Dorothy stamped herself as an icon, and an unforgettable character in movie history. It was this role that won Judy Garland a special Juvenile Oscar, which made it even more special because it turned out to be the only Oscar she won. 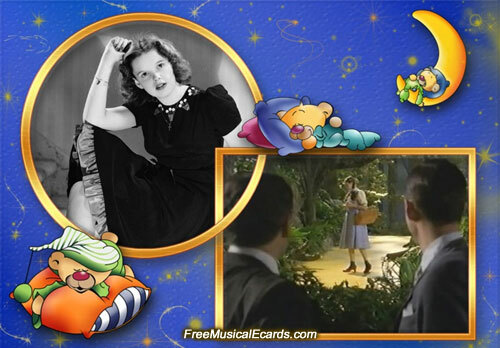 The Wizard of Oz also gave Judy Garland her best and most popular song, "Somewhere Over the Rainbow."